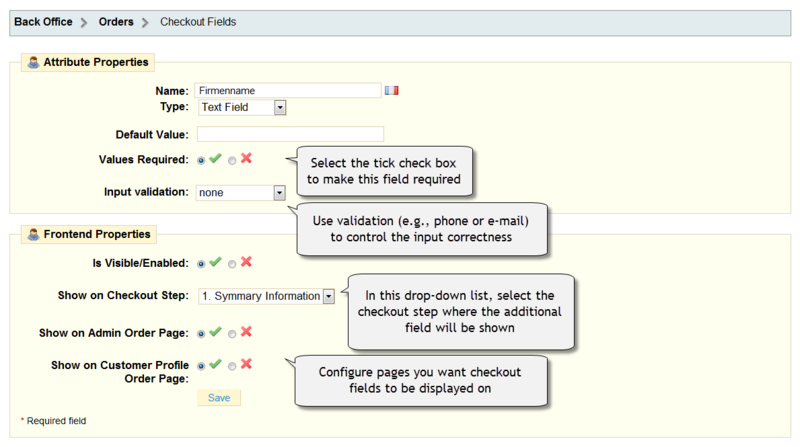 Add extra fields to the checkout procedure. Set up different types of fields with age, alternative address, website, etc. request to gather data about clients and be aware of the community you are dealing with. 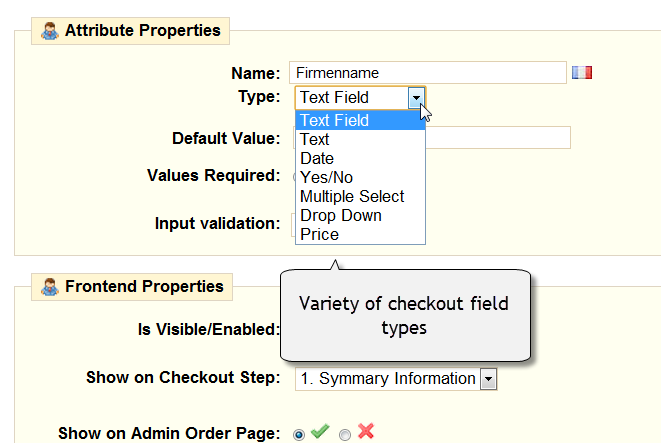 Adding additional fields to the checkout procedure for different purposes is easy and quick with Prestashop Checkout Fields module. Set up all types of fields with age, alternative address, website, etc. request to gather data about your clients and be aware of the community you are dealing with. 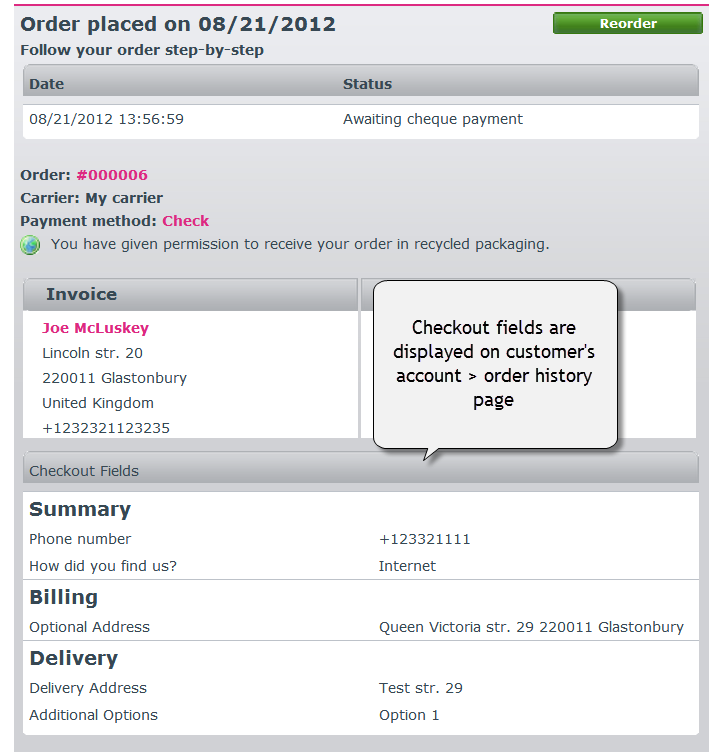 Prestashop Checkout Fields module is very flexible and easy to install. Many stores work with a specific audience, for instance, those older than 18 or preferring one sort of things over another. 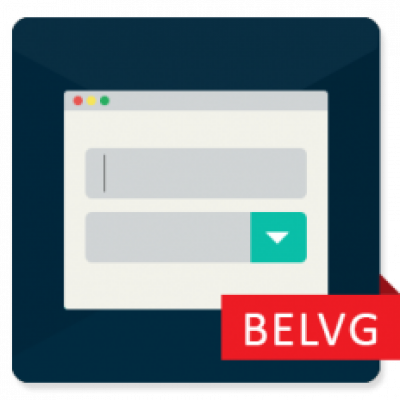 When you need to collect data about your customers or define their wishes this extension fits you the best. 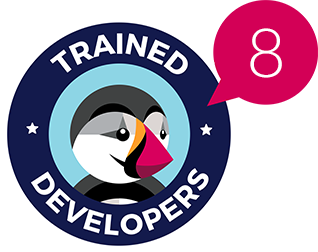 You will give better service with different types of fields for your clients to fill in and acquire what they really want. You can insert a checkbox field and specify clients’ preferences or the yes/no forms to get to know your audience better. 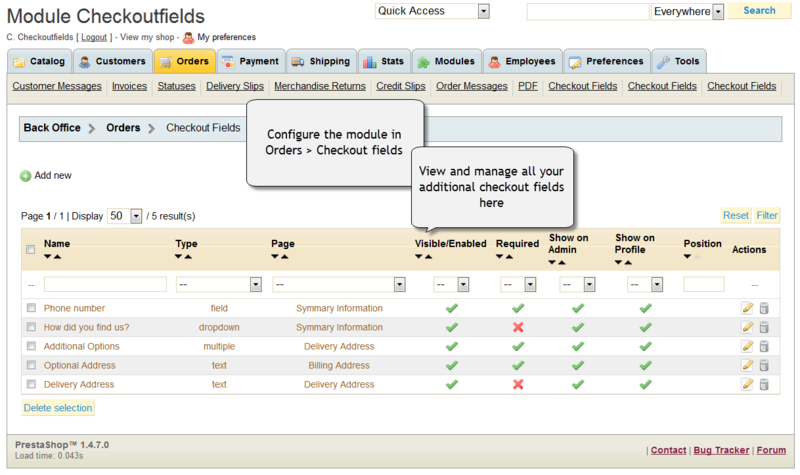 Enable the settings and display users’ additional information on Admin Order Page and on Customer Profile Order Page. 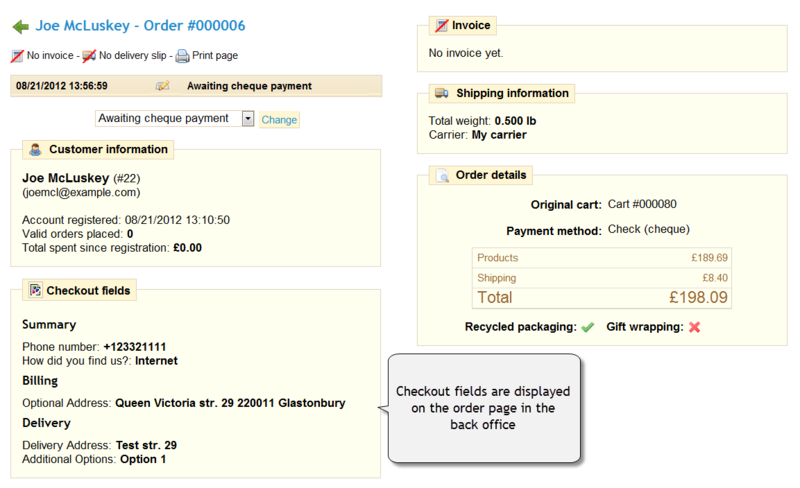 Your order grid will become more convenient with Checkout Fields tab in order submenu. 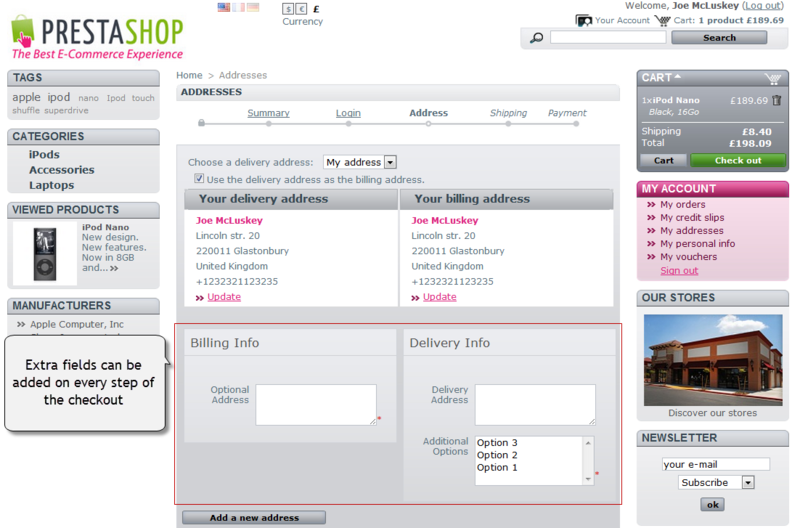 Just click this tab and you will be able to add new fields or edit existing ones right over there.